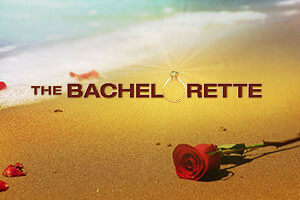 It's week 4 of The Bachelorette- Desiree's season! Here are my thoughts throughout this weeks episodes. When I see Atlantic City I can't help but think of one of my favorite movies as a kid- Wild Hearts Can't Be Broken. Has anyone else seen it? I'm glad she picked Brad to go on the one on one. I think it's creepy how they position the dates to be within distant view of where the rest of the group is so sometimes they can spot the date happening. That would totally mess with my head! It's too bad the conversation didn't flow with Des and Brad but better to figure that out early on. Bye bye Brad! A pageant!? I love seeing what they make the guys do every week. Hahaha! Zak W. is completely different than I first thought. I think soldier boy is going to snap. I bet he's the one that punches Ben in the previews! I got so caught up in the hurricane Sandy scenes and the date they gave to the older couple for the anniversary they missed because of it. So sweet. I agree, I totally got the wrong impression of Zak at first. I mean, can you blame us - he walked around with no shirt on the whole night, lol. I have never seen The Bachelorette, but I loved Wild Hearts! AHHHH! So many memories! I teared up seeing the older couple go out on the date! So sweet! Love the new look! where are you in SoCal? ?